I’ve been dealing with Macbook’s crackling sound problem (or little devil as I like to call it) ever since I upgraded from a Mac Mini to a BlackBook. On a quiet day, I noticed some odd crackling noise coming from my brand new MacBook. At first, I thought it had something to do with the hard drive. Crap, I said to myself. After a bit of crawling on forums, I drilled to the core of the issue. The problem seem to have stemmed from the laptop’s sound system. Apple implemented a power-saving feature which turns the audio subsystem off after about 20 seconds of inactivity. So, the issue (or syndrome, as I like to put it) was aptly dubbed “Snap-Crackle-Pop” because that’s the sound that it would make when the audio system turns on and off. These crackle sounds are most obvious when connected to external audio systems or headphones. The syndrome mostly affects portable Macs but there were several incidences involving iMacs. Here’s how to cure it: download Antipop. In a nutshell, Antipop is a launch agent which uses the Mac OS X “say” terminal command to speak a ‘space’ every 10 seconds. Because the sound is a ‘space’, technically there is no audible sound but the system is forced to play it anyway – blocking the audio system from going to sleep (power-saving mode). The before and after difference isn’t very noticeable initially but after a while I realised that I’m not hearing those irritating crackles anymore. There’s still a very silent pop once in a while. Perhaps that’s a separate issue. Antipop doesn’t use very much processing power. In fact, on my 2.4GHz Intel MacBook, it uses close to none. It eliminates the crackles when my MacBook is connected to the power source but when it’s running on battery – the crackles resurface. Antipop was written to run only when connected to AC power. If you wish to change this, type “echo -n “0” > /usr/local/share/antipop/ac_only” in Terminal. If it doesn’t work for you, uninstalling it is easy. Run the uninstallation script that is found in the Antipop DMG image. After your system reboots, Antipop will be removed. Antipop was tested only with Leopard but it should also work on Tiger. These are just a few of the quirks Apple gives us which we, as Mac users, have to deal with ourselves. It weird but that’s how it goes. Does your Macbook make any crackling sounds? Let us know in the comments if Antipop solved your “Snap-Crackle-Pop” syndrome. Wow. 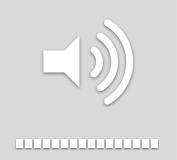 At first I thought I had a virus, but when I pressed the mute key, the sound was still happening. I installed the application you suggested and it stopped immediately. Thank you so much!!! I installed it and it worked for a while. Now the crackling is back! I have the exact opposite problem. My macbook pro (non-unibody) gives a buzz for the first 30 seconds after a sound is played so I would like to make it so that this changes into for example 1 second. Any clue on how to do that? Problem is the same when using EarPods. Could it be hardware too or is this pure settings? Thank you! This really works great. what if I play music at the same time as space is sent? does that space affect music somehow? I wonder cause I have external DAC and hifi stereo, I need to keep DAC syncronized by spdif cable all over time. and I would like to keep music as clear as it is, in the same time. No, there is no audible sound played and shouldn't affect your music at all. I've been finding the solution to this crappy sound card problem. It's so sad that Apple didn't improve this. This is an interesting work around, but wouldn't it also mean that -- since you're keeping the audio subsystem from ever shutting down -- this negatively impacts battery life? You've covered processor usage, but I would be very interested to know what the difference in battery life is when using antipop. As far as I can tell it doesn't affect battery life substantially. I opted to disable it when not on AC power by default merely as a precaution, but I've enabled it for use when my MacBook's on battery power and I haven't noticed any significant reduction of its battery life. The "very silent pop" that the author mentions is indeed a separate issue. The MacBook's audio system sometimes generates a buzzing, popping or whining noise when idle (i.e. powered, but not playing anything.) My guess is that this is caused by poor filtering. Well, leaving the audio subsystem on isn't particularly battery-draining (my own assumption). WIthout this fix, the subsystem would probably go to sleep but unless the audio is muted, there will most likely be a sound played which will awaken it.